Here is List of SAP executable that you may find on your SAP systems. R3check This is a tool that can check Cluster-Tables for errors. R3ldctl The tool for exporting all table structures to the file system during an OS/DB-Migration. R3load The table import & export tool of SAP during Installation, Upgrade and Migration. R3szchk The tool for determine the sizes of the different tables in the target database during the import in an OS/DB-Migration. R3trans This is the tool, which does the real work for tp, tp controls the import and export of changes and R3trans does those using scripts, which were generated from tp. ** Latest version of tp and R3trans Available in the SAP Service Marketplace, Released in 24th jan 2015.
dipgntab Activation and adjustment of the nametabs with the ABAP Dictionary. dpmon Used to get the process overview of an instance in text mode. ensmon Enqueue Server Programs to monitor the enqueue server and the enqueue replication servers. Es2mon Programs to monitor the enqueue server and the enqueue replication servers. esmon Program to monitor the enqueue server and the enqueue replication servers. evtd This program is able to trigger events within the SAP system. The tp tool uses this feature. It can be used as trigger for self-written interfaces as well. exe_db2.lst The ‘*.lst’ files are text files used by sapcpe to determine which files to compare/copy on instance startup. gateway.lst The ‘*.lst’ files are text files used by sapcpe to determine which files to compare/copy on instance startup. gwmon Program gwmon (at operating system level) or SAP transaction SMGW monitors the SAPGateway. gwrd Program gwmon (at operating system level) or SAP transaction SMGW monitors the SAPGateway. icm.properties Tool to monitor and manage the Internet Communication Manager (ICM) from the SAP System (transaction SMICM). icmadmin.SAR Tool to monitor and manage the Internet Communication Manager (ICM) from the SAP System (transaction SMICM). icman Tool to monitor and manage the Internet Communication Manager (ICM) from the SAP System (transaction SMICM). 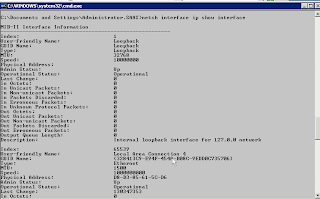 icmon Internet Communication Manager (ICM) used for HTTP(S), SMTP based communication used to monitor and manage the Internet Communication Manager (ICM) from the SAP System (transaction SMICM). instance.lst List of database-independent executables. These executables are valid for all database systems used by the SAP system. instancedb.lst List of database-dependent executables. These executables can only be used with a particular database system. j2eeinst.lst The ‘*.lst’ files are text files used by sapcpe to determine which files to compare/copy on instance startup. libicudata30.a ICU Common Library – Part of the RFC SDK and are used for RFC connections. libicui18n30.a ICU Common Library – Part of the RFC SDK and are used for RFC connections. libicuuc30.a ICU Common Library – Part of the RFC SDK and are used for RFC connections. libjenqulib.o Part of the RFC SDK and are used for RFC connections. libjmon.so JMON Shared Library – Part of the RFC SDK and are used for RFC connections. libjperflib.so Part of the RFC SDK and are used for RFC connections. libregex.o Part of the RFC SDK and are used for RFC connections. librfcum.o Dynamic Load Library – Part of the RFC SDK and are used for RFC connections. libsapcsa.o CSA Shared Library – Part of the RFC SDK and are used for RFC connections. libsapsecu.o SECU Shared Library – SAP seculib library used for default encryption. It’s referenced in the j2ee startup logs in the work directory. libsapu16.so Part of the RFC SDK and are used for RFC connections. libsapu16_mt.so Part of the RFC SDK and are used for RFC connections. memlimits The program memlimits lets you determine how much swap space is currently available in the host system. rfcexec The tool to start other programs from within SAP (ABAP) on the OS level via the gateway on any other (or the same) server. rfcexec.sec The tool to start other programs from within SAP (ABAP) on the OS level via the gateway on any other (or the same) server. rstrcscs Program creates a common memory segment for the SCSA, locates the trace switches block within it and initializes the trace switches block. rstrlscs The command “rstrcscs r” removes that common memory segment again. rstrsscs The command “rstrsscs” allows change to the switch settings in the trace switches block within the SCSA. sapcontrol ’sapcontrol’ is used to stop/start/monitor the sap instances (for example, from the sapmc). sapcpe This checks that the local executables are up to date each time an SAP instance that uses local executables is started. sapevt This program is able to trigger events within the SAP system. The tp tool uses this feature. It can be used as trigger for self-written interfaces as well. sapftp FTP Client, that can be used from within the SAP system (from ABAP) to communicate with other FTP servers. saphttp HTTP Client, that can be used from within the SAP system (from ABAP) to communicate with other HTTP servers – e.g. for interfaces. saplicense The Tool for the installation of a new SAP License. This is needed when the license expires e.g. because of a hardware change. sapmanifest.mf Text file that contains the kernel patch level and is read by the JSPM (Java Support Package Manager). sapmanifestdb.mf Text file that contains the database kernel patch level and is read by the JSPM (Java Support Package Manager). saposcol The SAP Interface to the Operating System for Performance Data. The Operating System Collector collects CPU Usage, Disk Performance, Paging etc. sappfpar This tool can be used for checking the profiles after changes and before restarting the SAP system. saprouter The program for the Router Connection from customers to SAP and vice versa. sapuxuserchk The program xuser is a tool from maxdb which stores the logon information to the DB. This utility program called by sapcontrol which is a program that uses the web service APIs of the ABAP and Java startup framework to control an instance from the command line. sapwebdisp The SAP Web dispatcher is used for load balancing for a setting up an SAP Internet scenario. It is the only application that needs to be located in the DMZ. Everything “behind” this can (and should) be located in your intranet. So, only one port on one IP address needs to be opened to internet and the SAP Web dispatcher can handle the traffic with the different SAP instances. sapxpg Program that starts programs on an external host. The tool for starting OS commands from within SAP Systems. scs.lst The ‘*.lst’ files are text files used by sapcpe to determine which files to compare/copy on instance startup. scsclient.lst The ‘*.lst’ files are text files used by sapcpe to determine which files to compare/copy on instance startup. semd A Test Tool used to verify semaphore operations. servicehttp The port number where the server should listen for HTTP requests. startrfc The tool is a very easy SAP command line interface to start all of the implemented function modules of SAP systems. tp The Transport Tool. This program coordinates the complete import and export of program and table changes made within the SAP system in order to transport them through the complete System Landscape.